Yet another youth has lost his life on 13 April in the ill-fated Handwara firing in Jammu and Kashmir. The boy, identified as Jehangir Ahmad Wani, was reportedly hit by a teargas shell fired by security personnel during the protests in Drugmulla area of north Kashmir. A police official confirmed that a teargas shell hit Wani on the head and he was rushed to a hospital immediately. Doctors declared him brought dead. 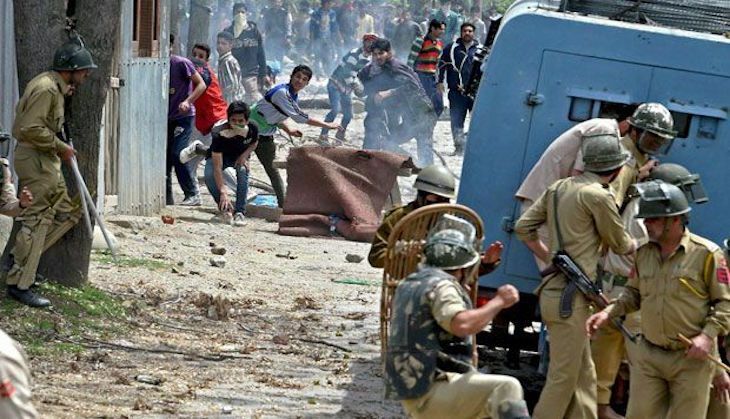 With this, the death toll due to the Handwara firing has gone up to four in the last 24 hours. Two men and a woman were killed in the army firing yesterday. An Assistant Sub-Inspector of Jammu and Kashmir Police was suspended for "mishandling" of the law and order situation in north Kashmir's Handwara town. "Assistant Sub-Inspector Rafiq Ahmad has been suspended pending inquiries into yesterday's incident," a senior police official said. He said a magisterial probe and a departmental inquiry are being conducted into the incident. The girl, however, has denied she was molested and accused two local youths of hatching a conspiracy. The Army has released a video statement of the girl's statement in which she is saying that she simply went to nearby washroom along with her friend and suddenly a youth appeared before her and took her bag away. As per her statement in the video, the boy then resisted her to come to nearby police station. In the meantime, the other youth shouted slogans and instigated violence.